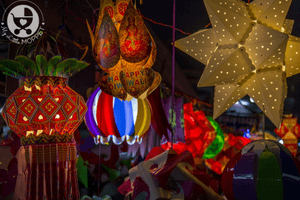 Diwali is associated with several images – of candles and diyas lighting up the house, freshly painted walls, new clothes and lots of shopping! But little kids can feel a little left out of all the bustle, while Mom and Dad are busy with the festivities. 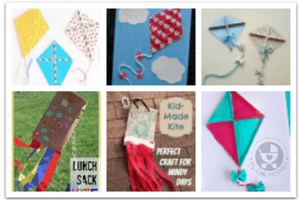 So one way to include them (and keep them occupied as you go about your business) is to engage them with activities and crafts. 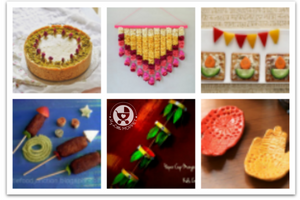 You’ll also get some cute new pieces for your Diwali decor! Candles and diyas are an integral part of a Diwali celebration, so let your kids get together to make these adorable candle holders from Nurture Store. Adult assistance is required for the actual holders, but give the kids free reign when it comes to decorating them! Firecrackers are fun to watch, but come with their own hazards like smoke and noise. 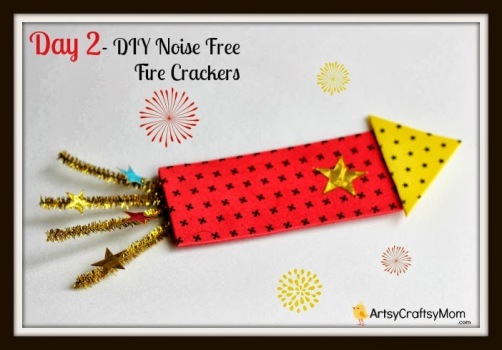 But this colorful firecracker craft from Artsy Craftsy Mom is completely noise-free and surprisingly easy to make! 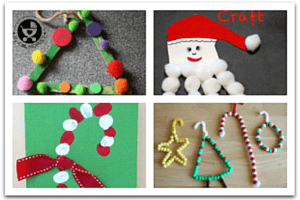 Make them in different color combinations and put them up on the wall for lovely festive art. If you want to keep kids occupied while get your work done, then join the two and create a ‘peda-making station’ for them! 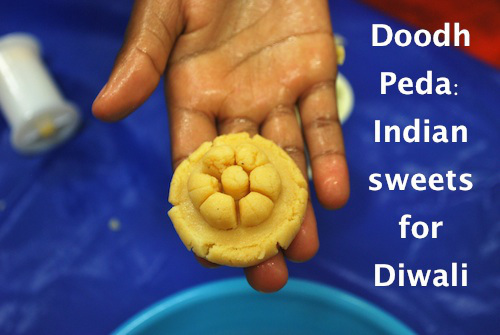 Kid World Citizen shows an easy recipe to make this Diwali favorite; so easy that even kids can help! Be sure an adult is available for the actual cooking and supervising part. Diwali is a time when people welcome Lakshmi, the Goddess of wealth and prosperity into their homes. 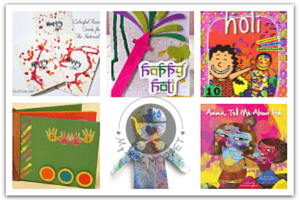 For this reason, ‘Lakshmi’s footprints’ are a common motif associated with Diwali, and Crayola shows you how you can turn this into an easy craft! One of the most colorful aspects of Diwali is the bright and intricate Rangoli drawn in front of homes! While your child may not be old enough to help out with the real Rangoli, he can spend some quiet time coloring a Rangoli design on paper! Activity Village has some lovely pages for you to download and print. In the days leading up to the festival, you might be busy all day, and only get time to read to your child at bedtime. 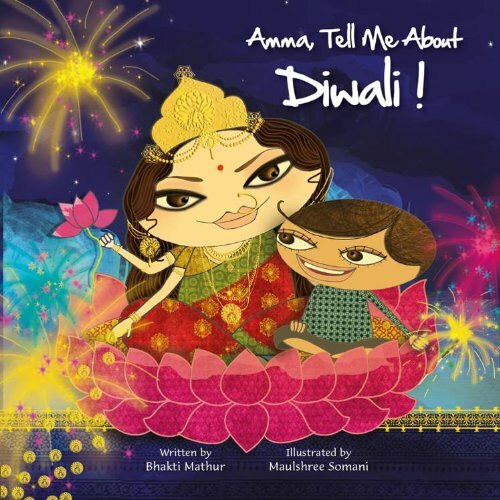 Answer all his questions about the festival with the help of this lovely little colorful book, aptly titled, ‘Amma, Tell me about Diwali.’ You an also get copies for other kids in your family, so they can read together! 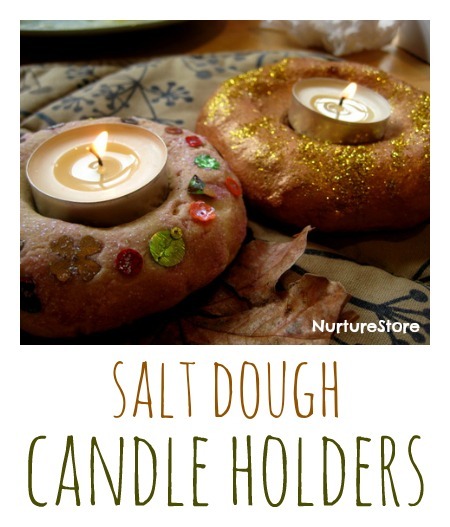 The salt dough diyas, while though it has ‘dough’ in the name, can’t be eaten. However, these absolutely adorable edible diyas from Little Food Junction can certainly be devoured! 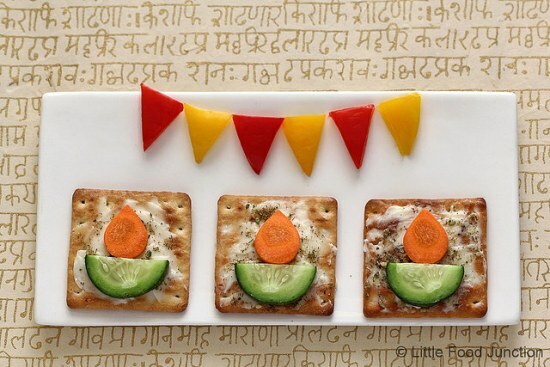 Cut out the vegetable shapes and let the kids arrange them on whole wheat crackers, using cheese as ‘glue’. 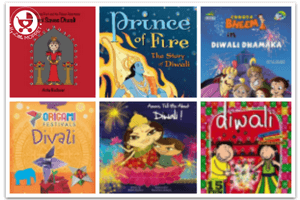 There are many fire elements in Diwali, with the candles, diyas and of course, the fireworks. If you’d like a safer way to enjoy these elements, why not make your own flame? Sounds incredible, doesn’t it? 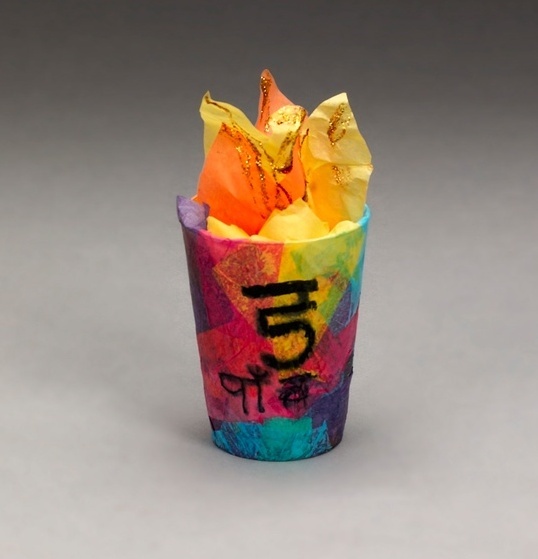 Crayola shows you how easy this is to achieve, with some colored paper! 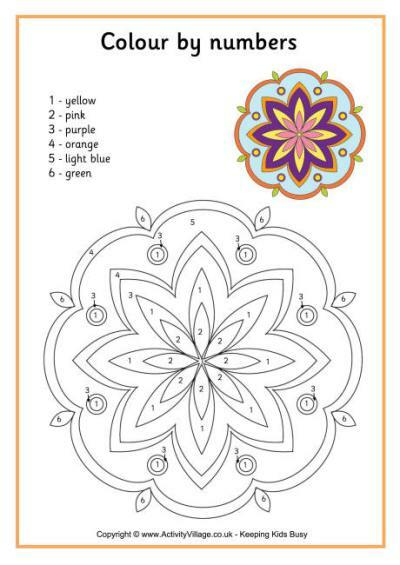 Maybe your kids aren’t satisfied with their Rangoli coloring pages and now want to make their own Rangolis! 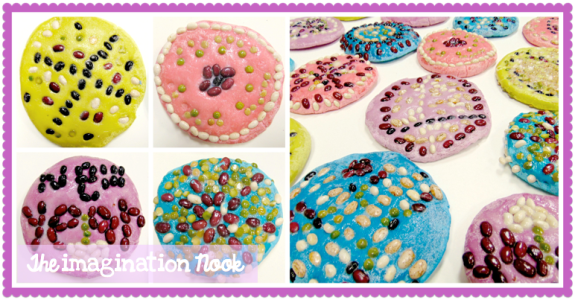 Don’t worry, The Imagination Nook has the perfect solution – colored home made play dough with lentils to decorate. Since these include small particles, leave this to the older kids – the younger ones can color! Diwali is incomplete without exchanging cards and gifts, and when these are made by hand, they are all the more precious! 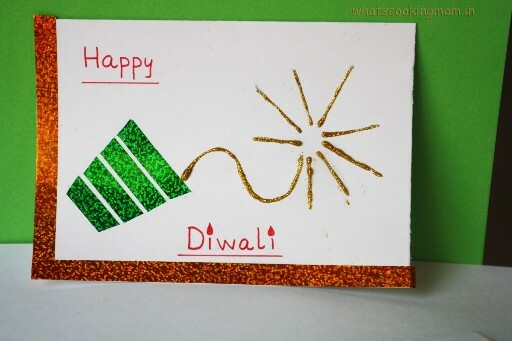 Let kids make their own Diwali cards this year, like this easy yet beautiful one from What’s Cooking Mom. With very basic supplies, you can make a whole set of these! 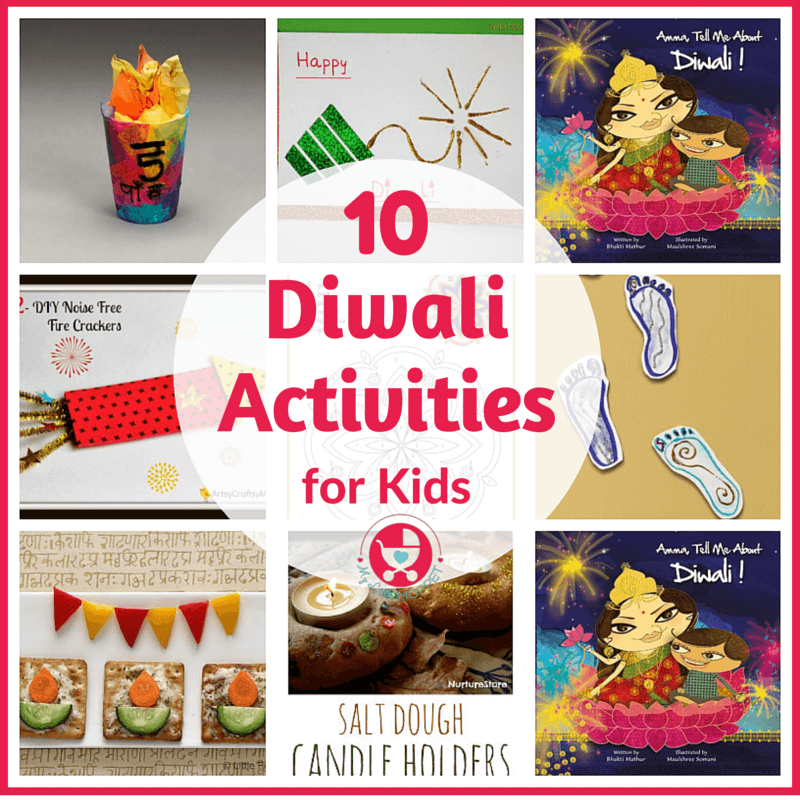 There you have it, fun Diwali Activities for Kids that should be enough to keep the kids at your home occupied till it’s time to come out and eat laddoos or burst crackers. So go ahead and start getting everything ready for the little battalion! !